Wallace Forge Company - Welcome! Wallace Forge is a leading manufacturer of American Made truck and trailer parts. Through four generations, the Wallace Forge Company has continued to forge ahead by developing new products for both the truck and trailer industry while maintaining high customer satisfaction. 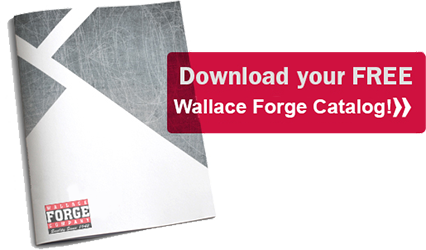 The Wallace Forge Company started in 1942 and is a family run business specializing in the manufauring of truck and trailer accessories. Wallace Forge prides itself on offering quality, affordable American made products that are built to last. Wallace Forge's capabilities include forging, upsetting, CNC machining, heat treating, military and retail paint finishes.